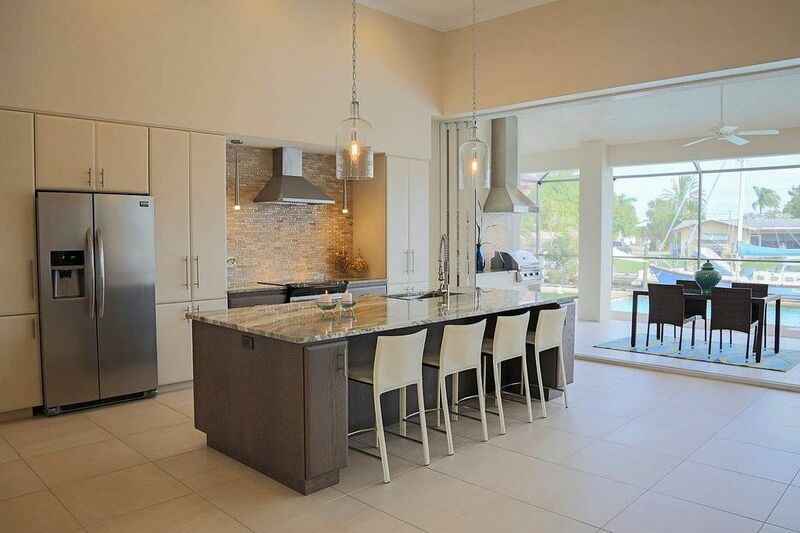 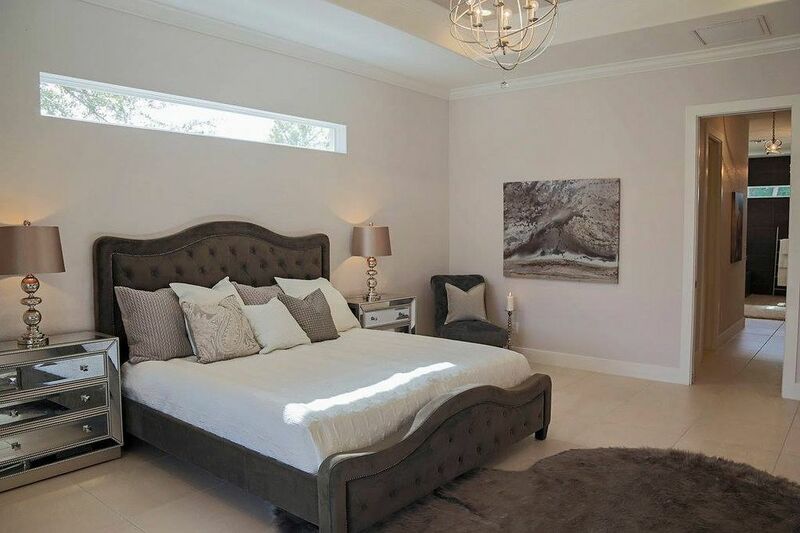 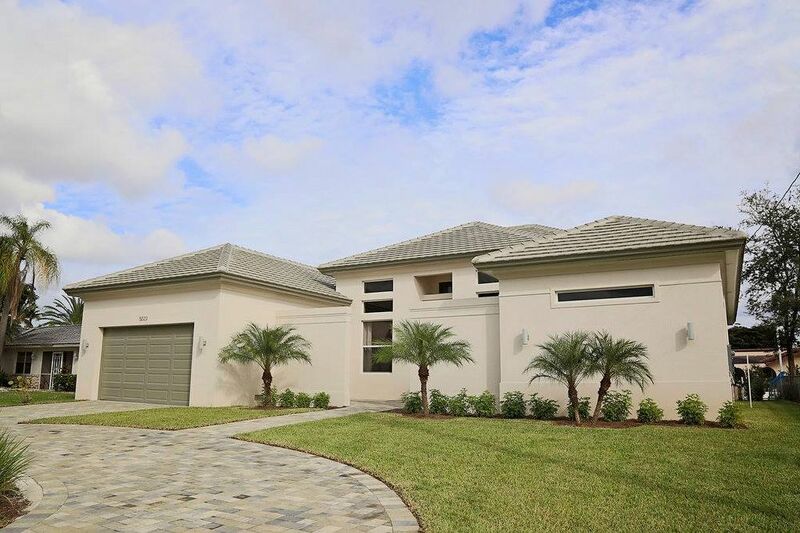 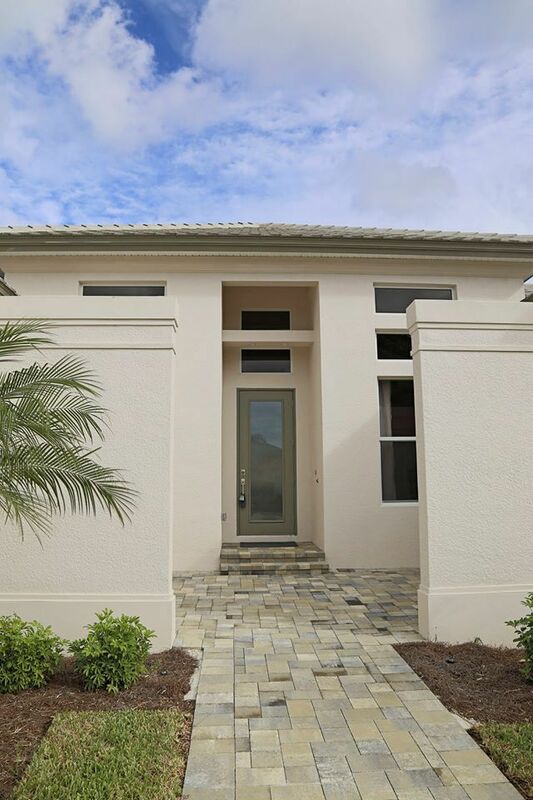 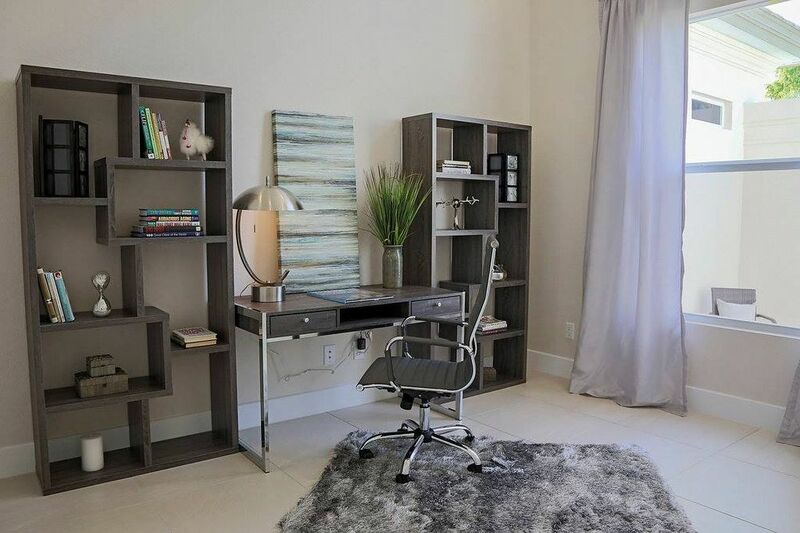 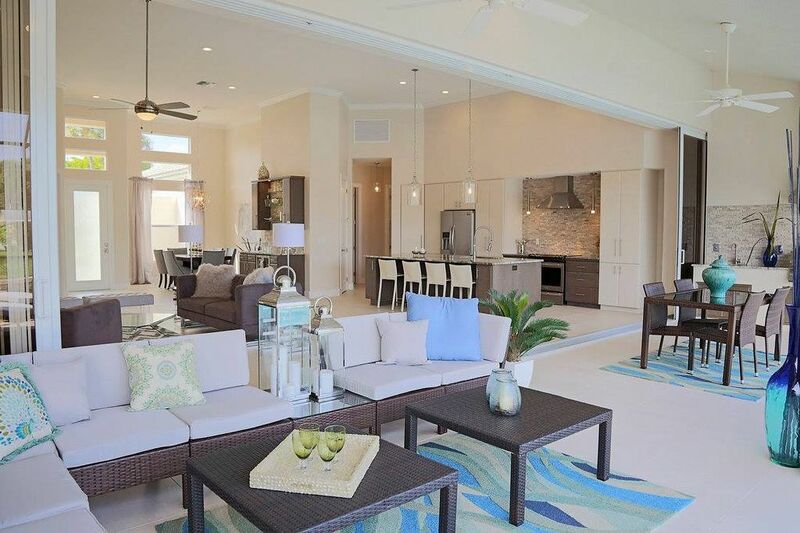 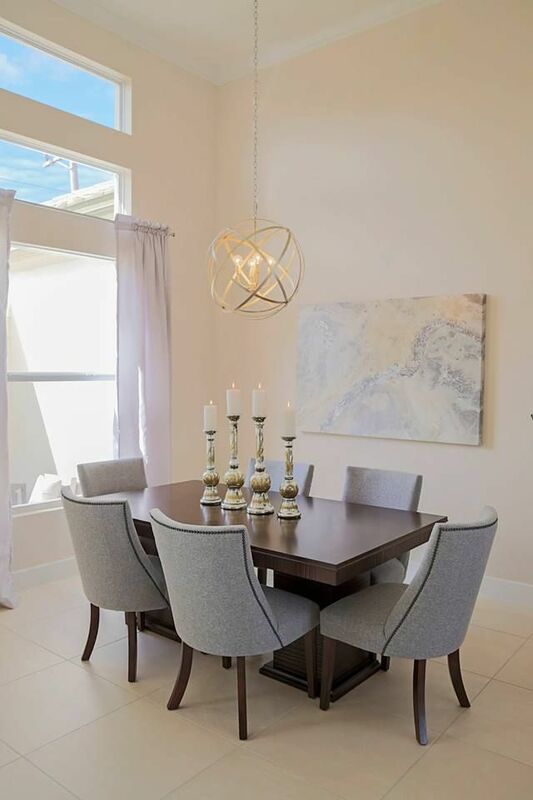 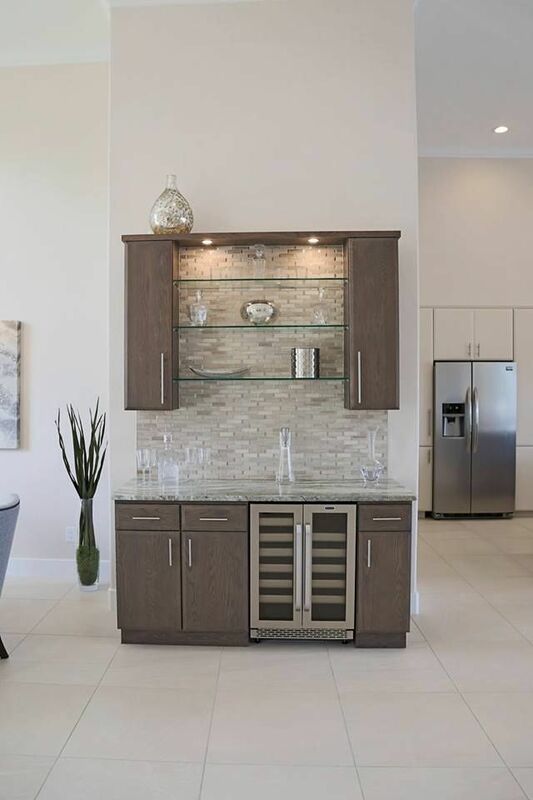 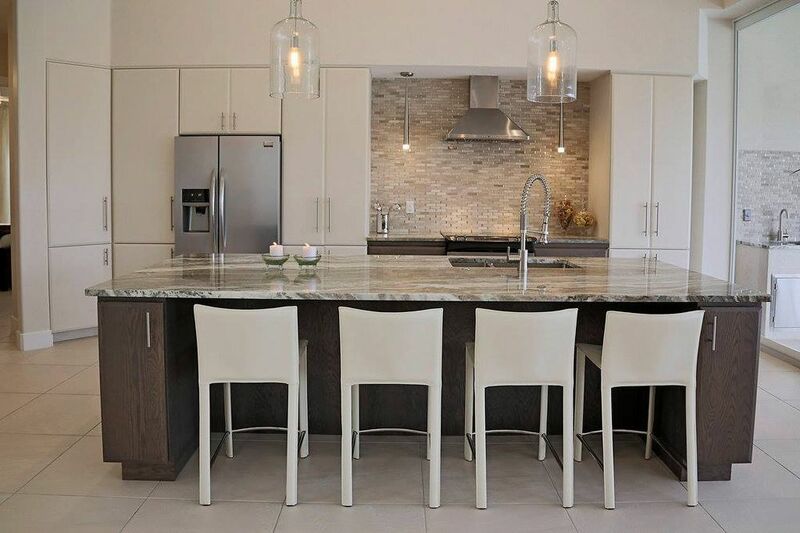 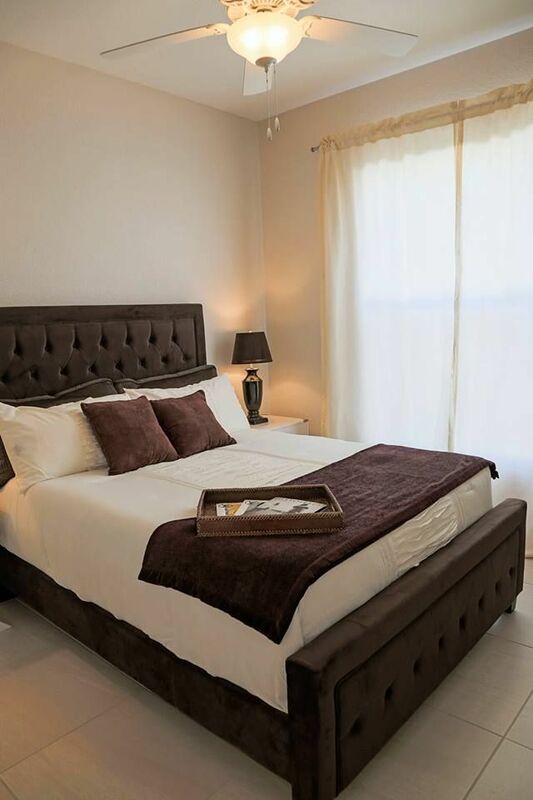 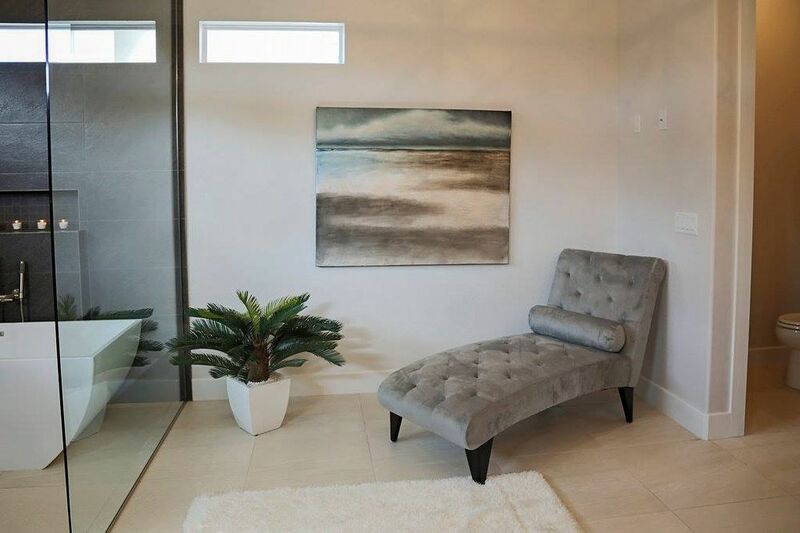 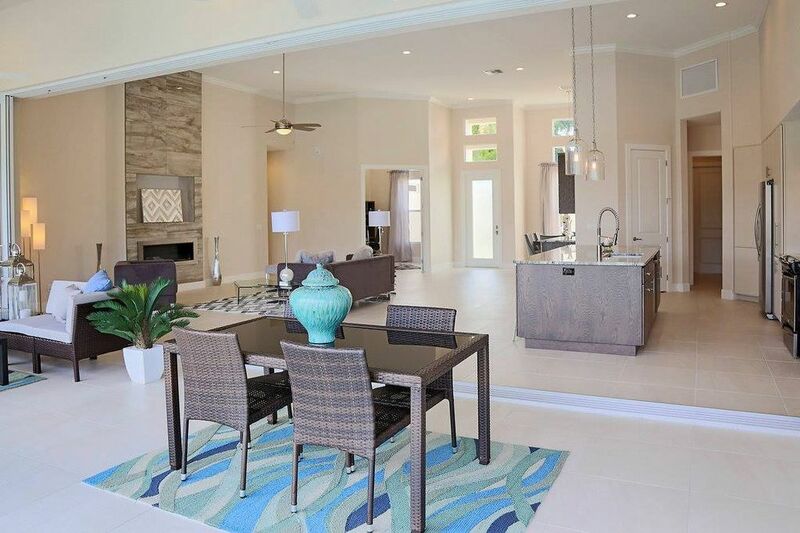 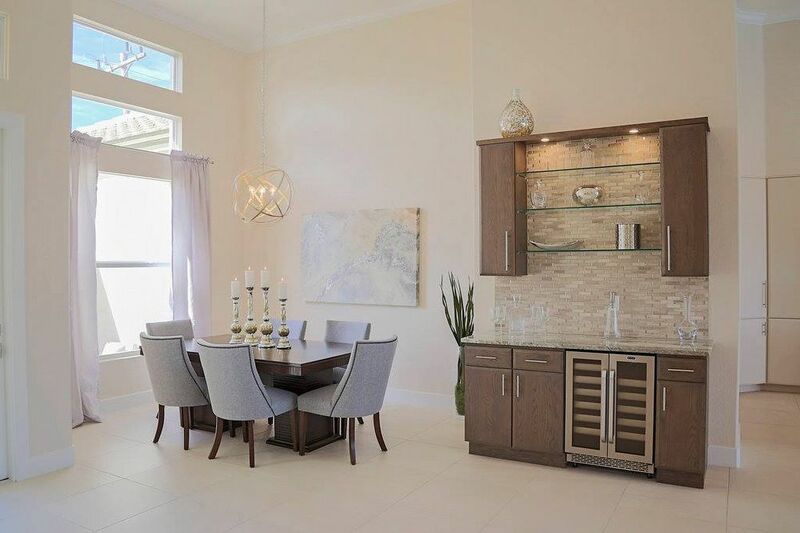 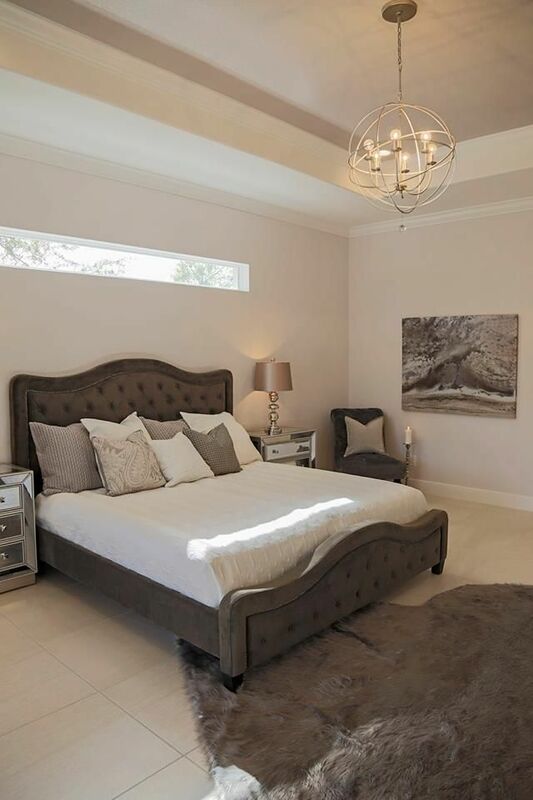 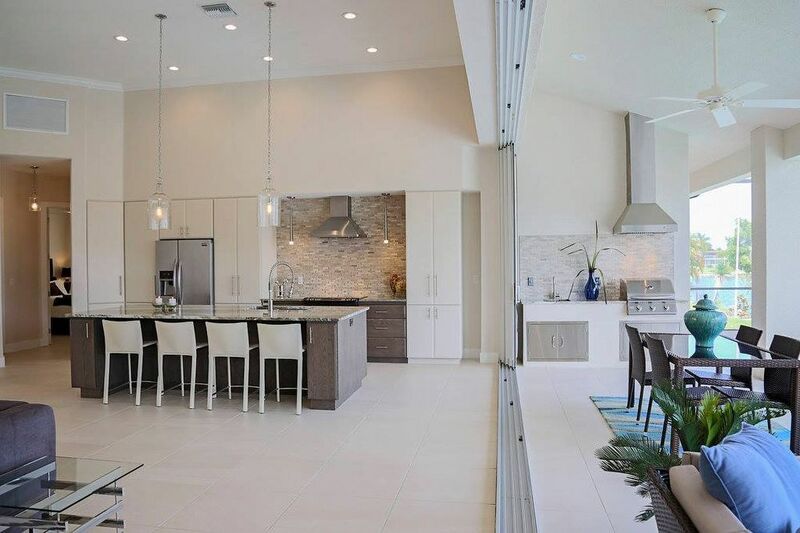 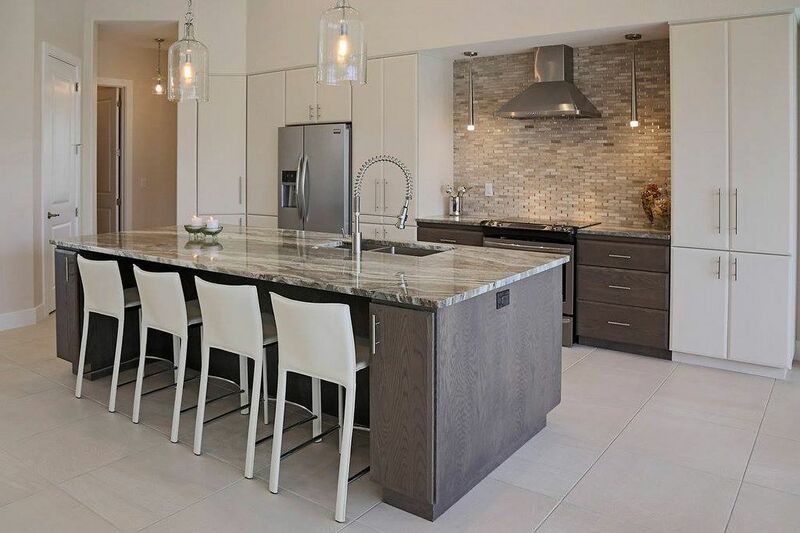 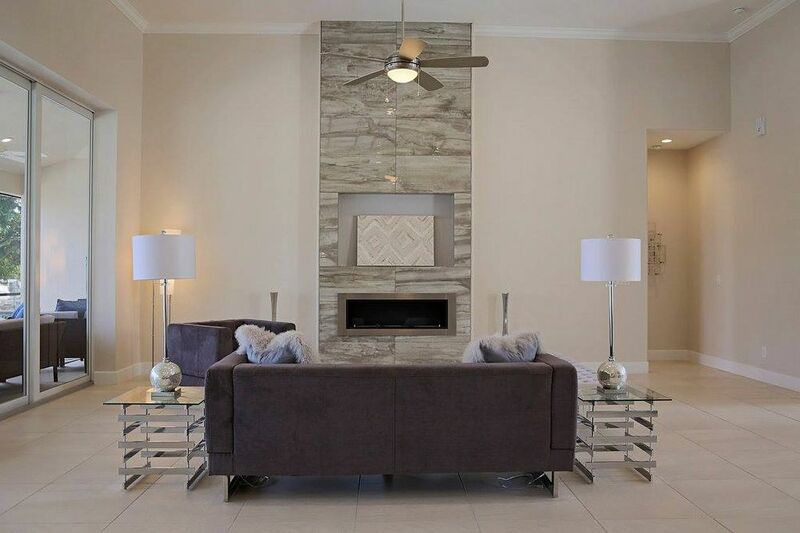 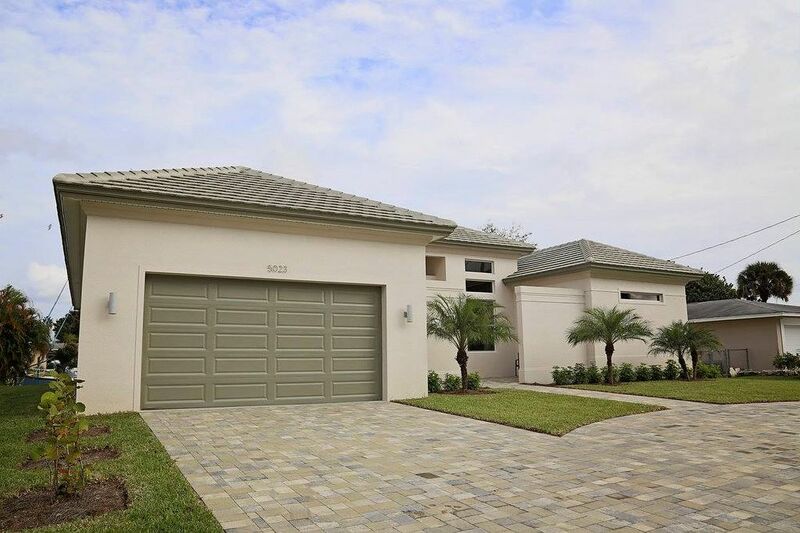 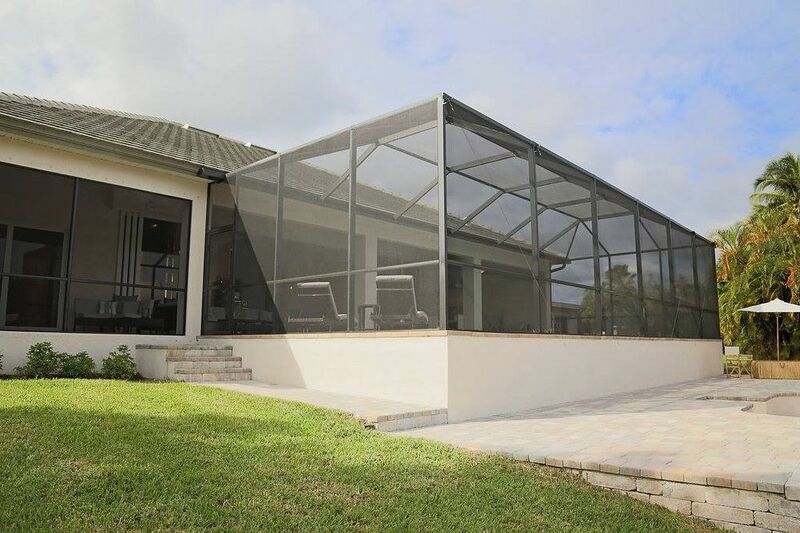 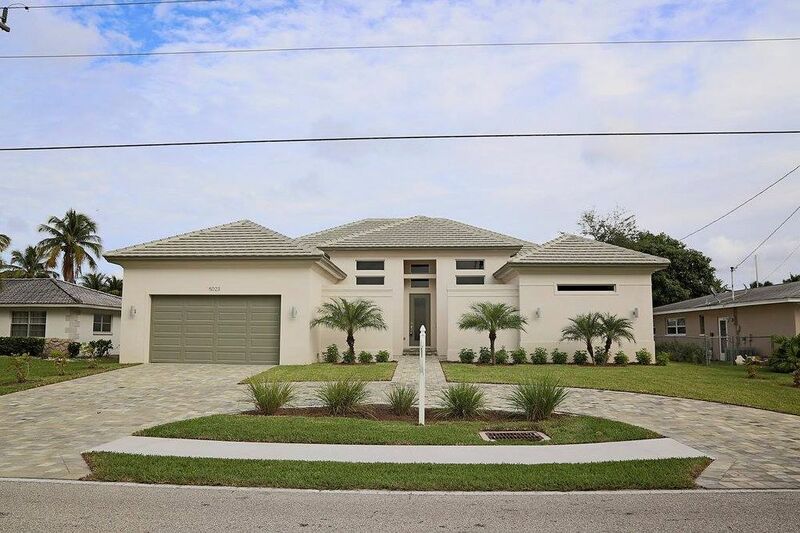 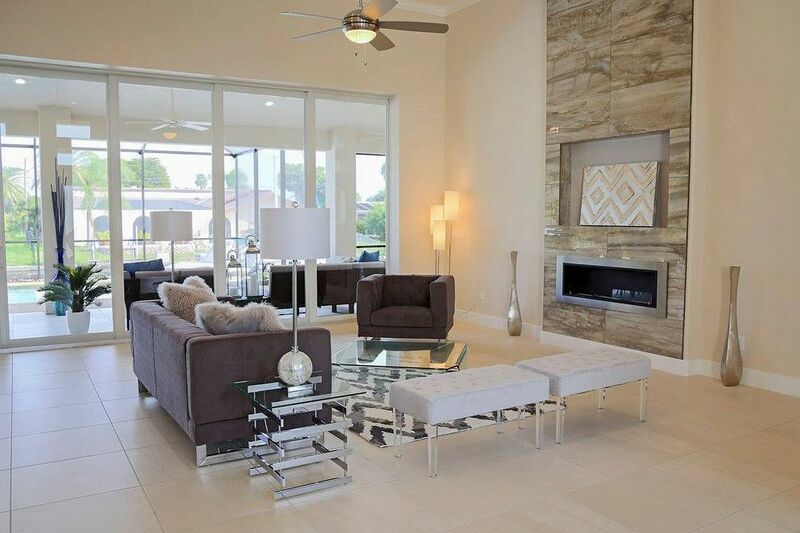 This water-access home in Cape Coral is a luxury custom home inspired by our Michaela floor plan. 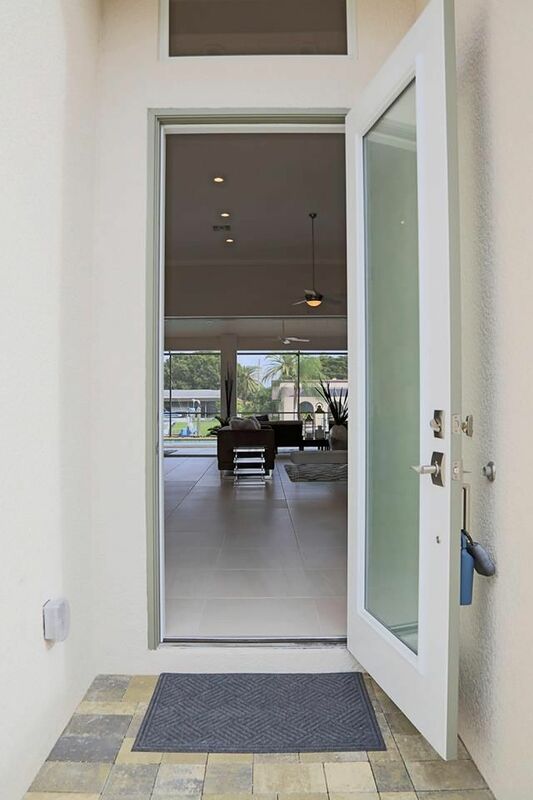 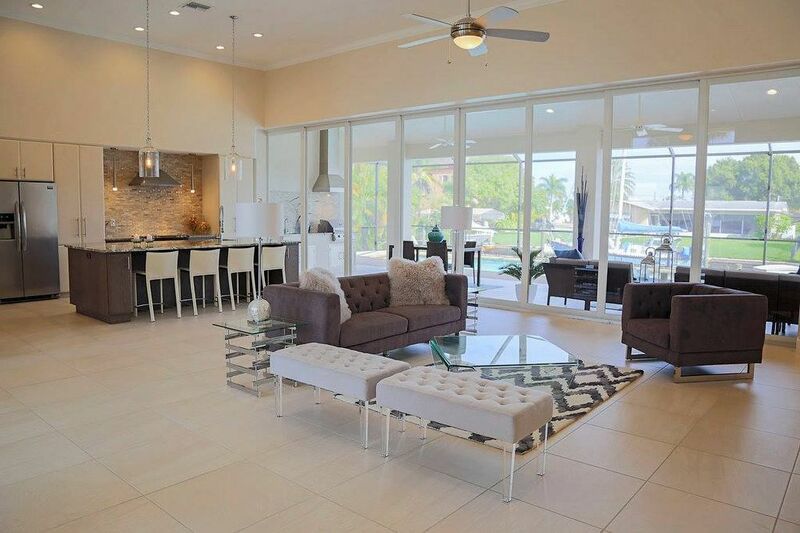 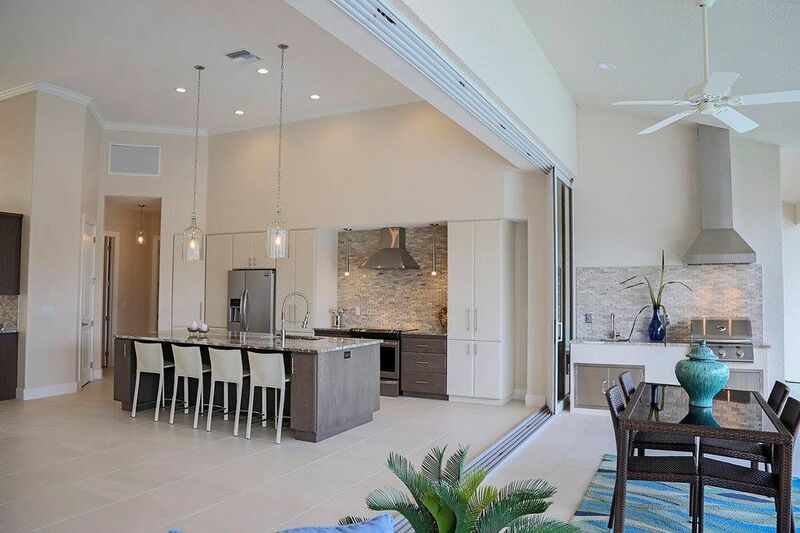 The large sliding glass doors leading to the lanai give the home a very open floor plan and very bright living and kitchen area. 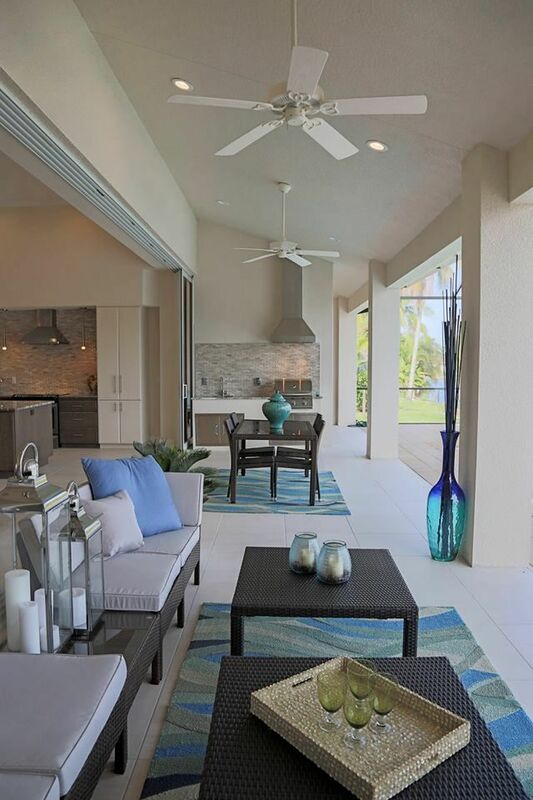 The outdoor kitchen and grill combined with lots of space for outdoor seating make it a great outdoor space to relax and spend time with the family. 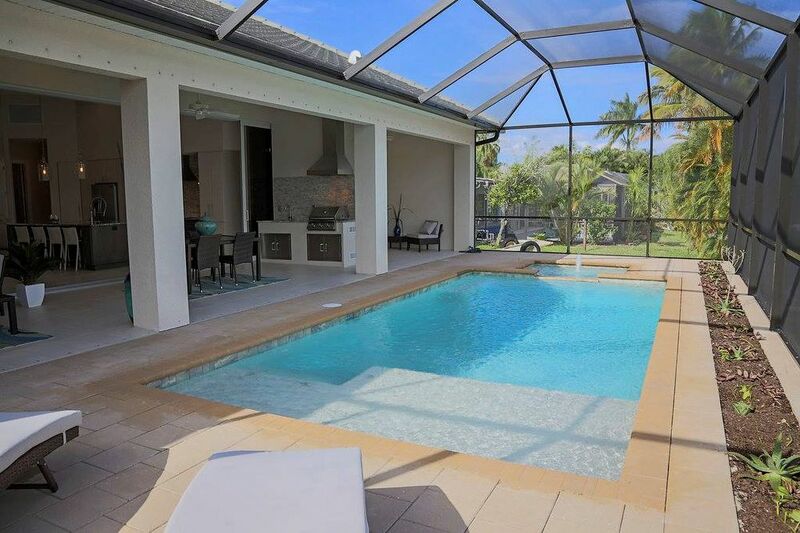 Not to mention the outdoor pool and spa and lanai landscaping to add to it. 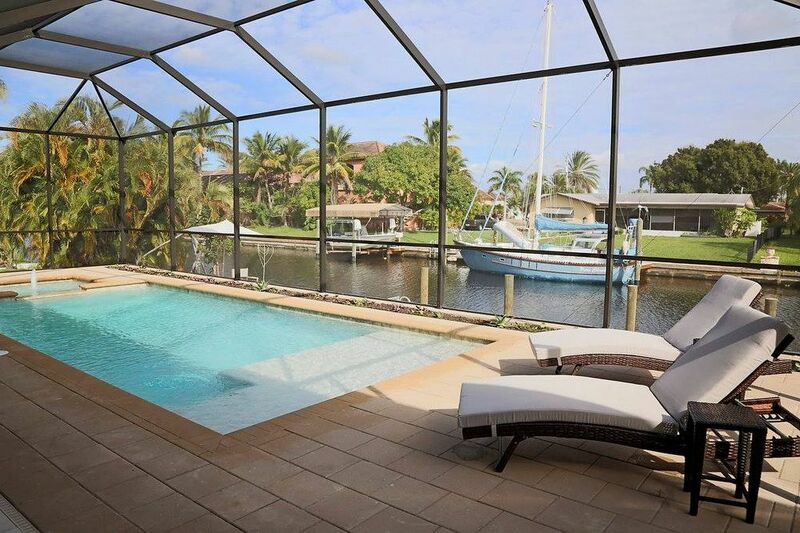 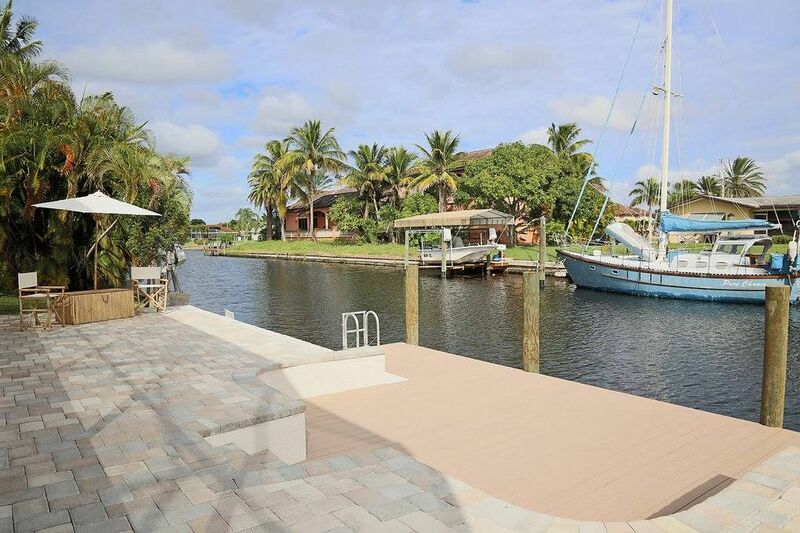 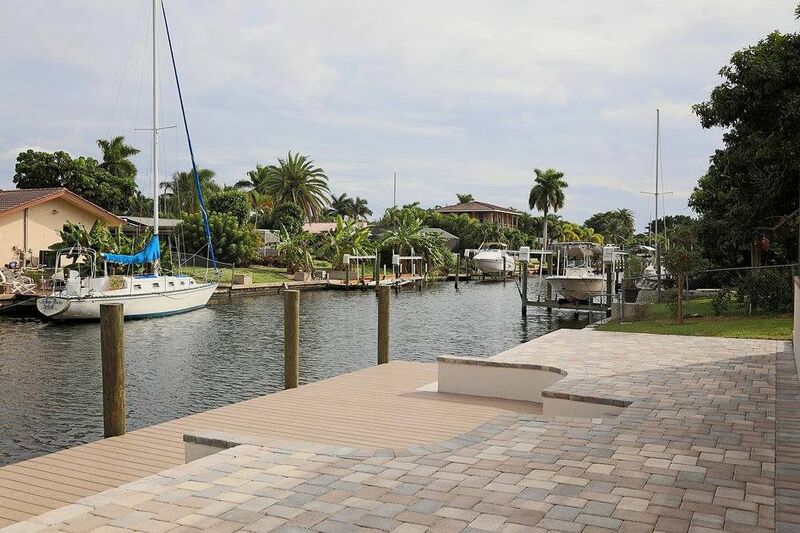 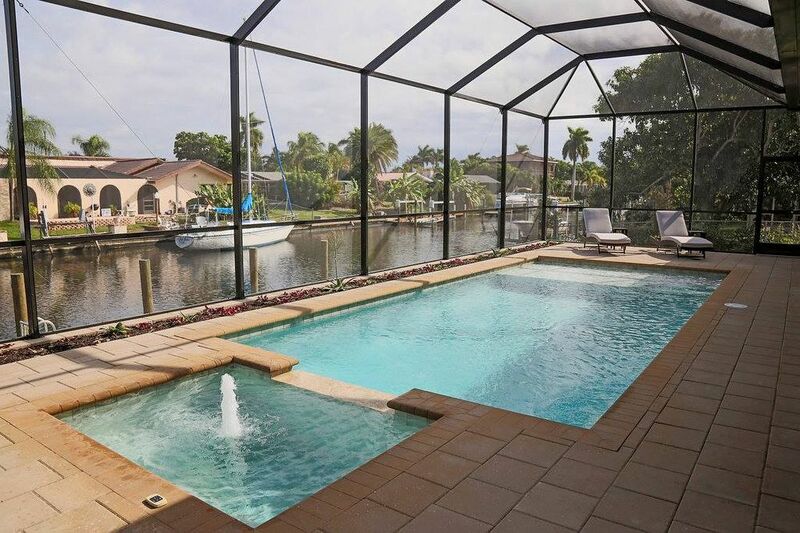 This home has access to its very own boat dock on the canal. 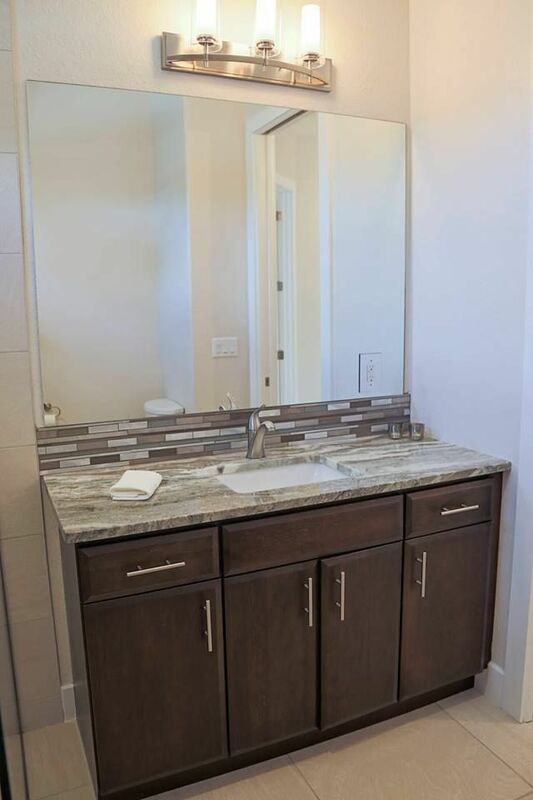 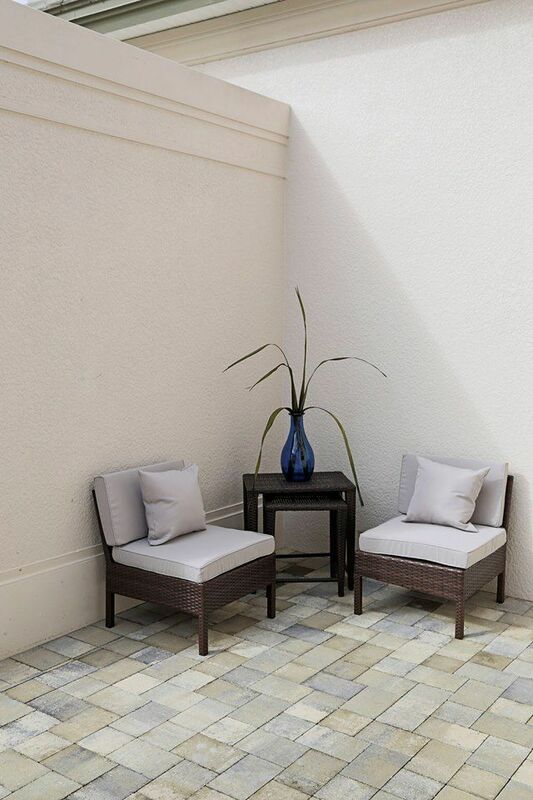 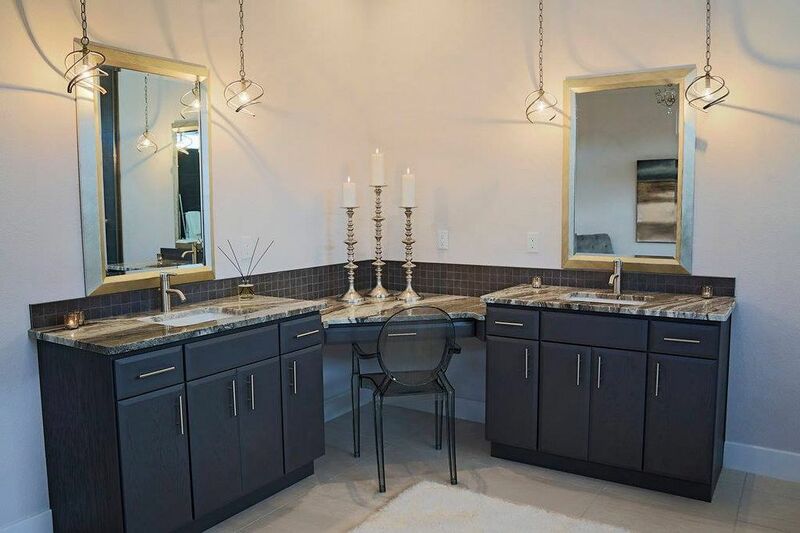 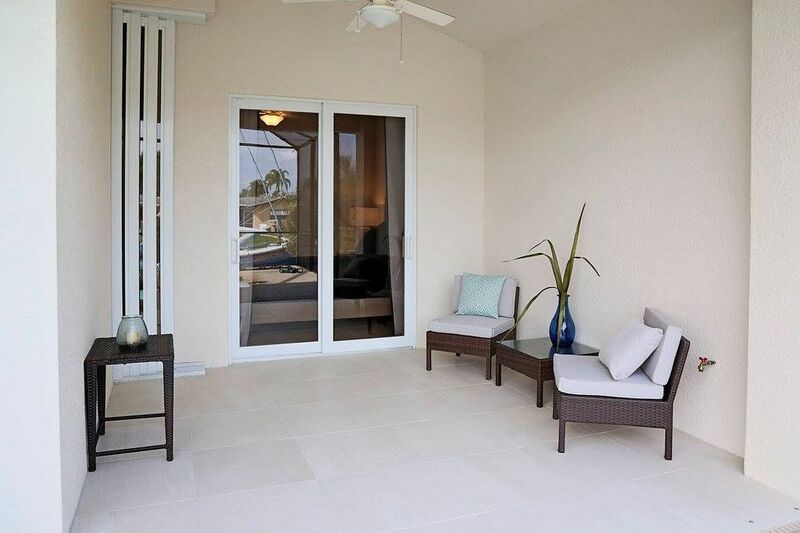 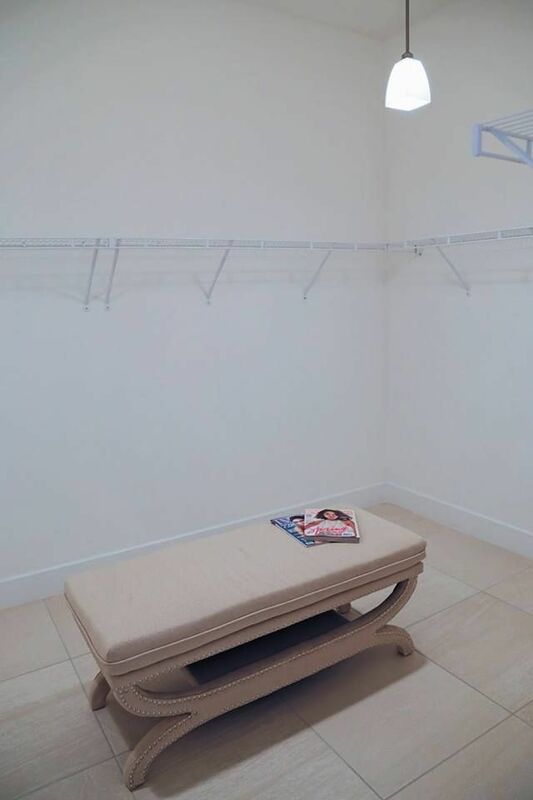 Guests will even have their own outdoor lanai space and beautiful guest bathroom. 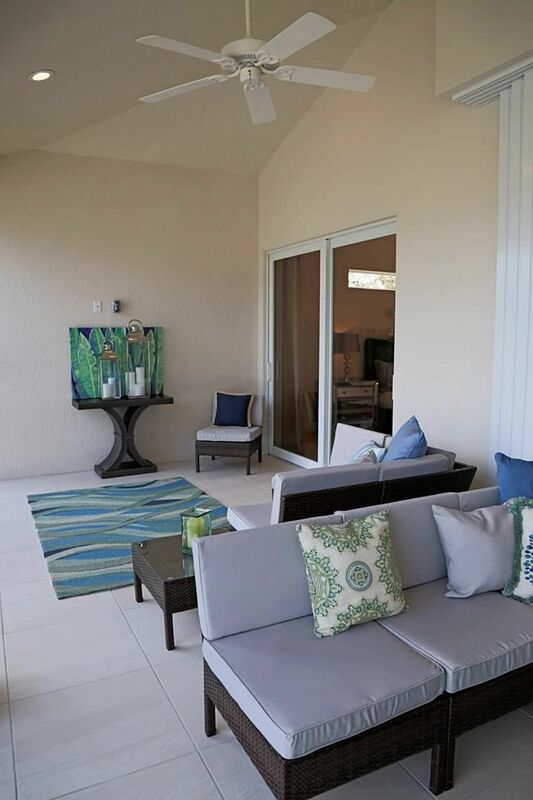 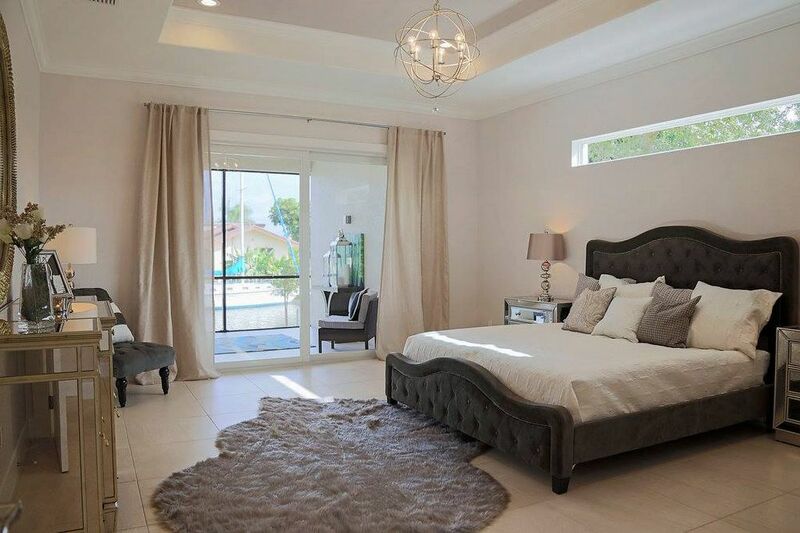 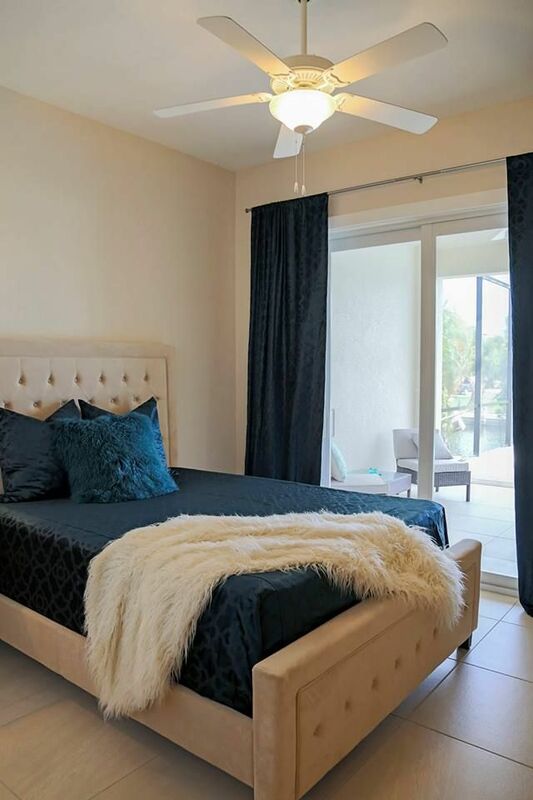 The master bedroom also leads out to the lanai with sliding glass doors. 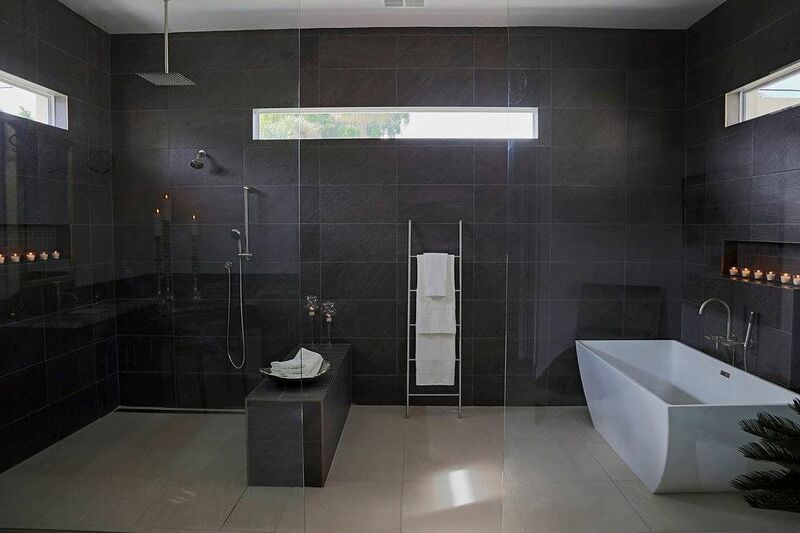 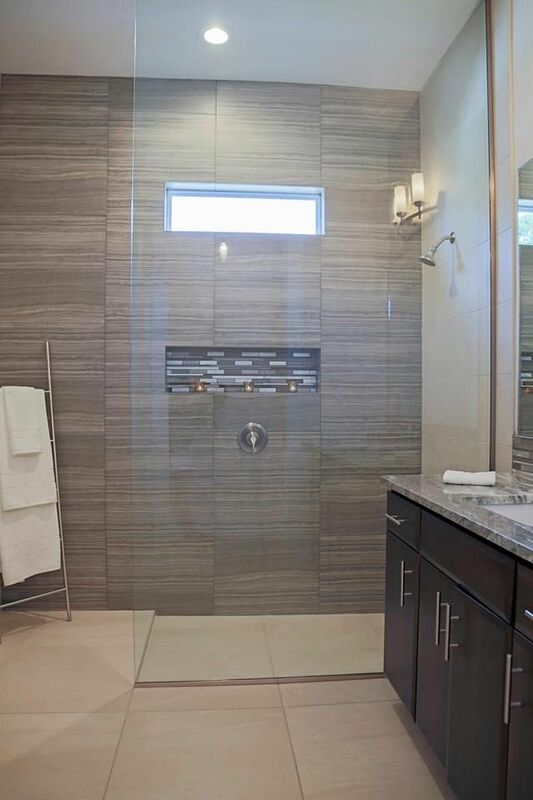 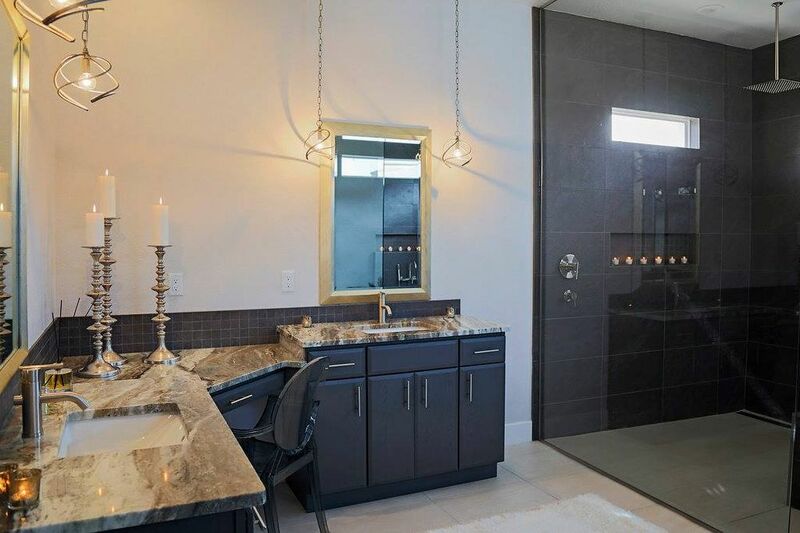 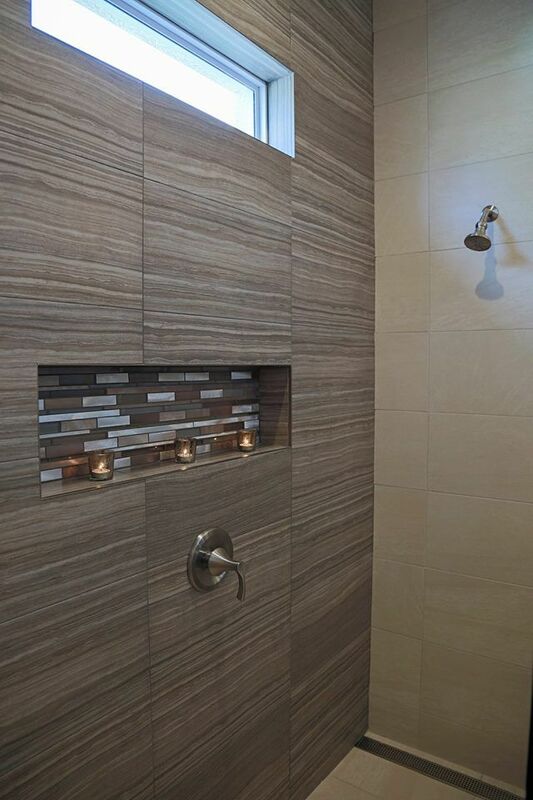 Unwind in the relaxing spa-like master bathroom. 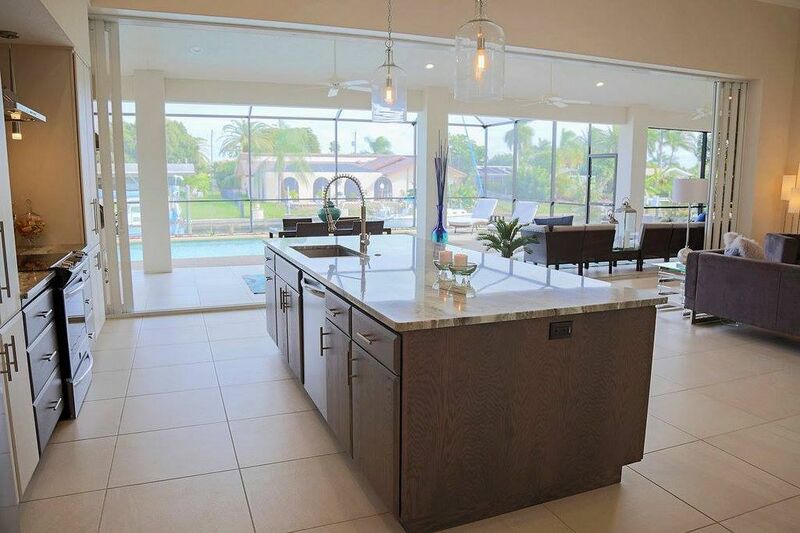 This house is truly incredible! 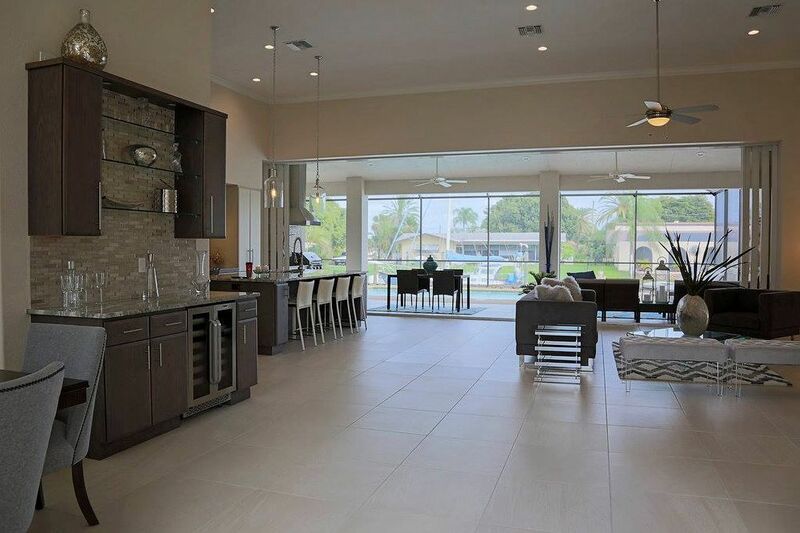 Notable features: Tile roof, custom 24” porcelain tile, impact glass windows with 10’ x 32 feet long sliding glass doors, custom built cabinetry, hand selected granite tops, custom shower wall tiles, custom select plumbing fixtures, saltwater pool with spa, paver drive and custom outdoor kitchen, contemporary design, demolish old house and re-build new.